For the most adventurous and nature lovers, we bring you a plan that you can not refuse. Have you heard about hanging bridges? Well, in Galicia there are a few, some with easy access and others more hidden, which means entering fully into nature and becoming an explorer. In this post we are going to tell you in which places of Galicia you can find them, to be able to plan in some occasion, a different excursion. It is one of the most beautiful hanging bridges in Galicia. Overcomes the Lérez river joining the banks of Calvelo and A Retorta. It is made out of a wooden platform supported by thick steel cables. It has a length of 30 meters and a height of 15 meters, only suitable for the most daring. About 500 meters from the bridge, we find the fluvial beach of Calvelo, also known as Praia do Canal. The environment of the Lérez valley is unparalleled, a wonderful place of abundant and rich vegetation. In the municipality of Leiro and next to the spa of Berán, we find another suspension bridge that crosses the river Avia. The walkway is part of a hiking route that links Pazos de Arenteiro with Ribadavia, visiting this area. If you prefer to make a more relaxed plan, you can settle on the river beach near the bridge. This suspension bridge is located on the banks of the Tambre river, a few kilometers away from the urban center of Noia. The best thing about crossing the metal walkway is being able to admire the landscape from the center of the river. Several interesting hiking routes are marked from the Tambre power station. One of them reaches Ponte Nafonso, offering spectacular views. You can cross the Verdugo river by a suspension bridge that has been recently rehabilitated. This wooden walkway is located on an area of ​​great depth known as the Poza das Bestas, rising six meters above the level of the river. It is a magical enclave, your Instagram followers will love it! This suspension bridge, one of the longest and highest in Galicia, crosses the Ulla River connecting the municipalities of A Estrada and Teo, and was popularly named Mariola Bridge decades ago. It remains open during the fishing season, from May to September, and the rest of the year remains closed. Crossing it you can enjoy a panoramic view of the Ulla river. In the municipality of Outeiro de Rei, specifically on the Miño river, is the Ínsua de Seivane, a small but wonderful island. 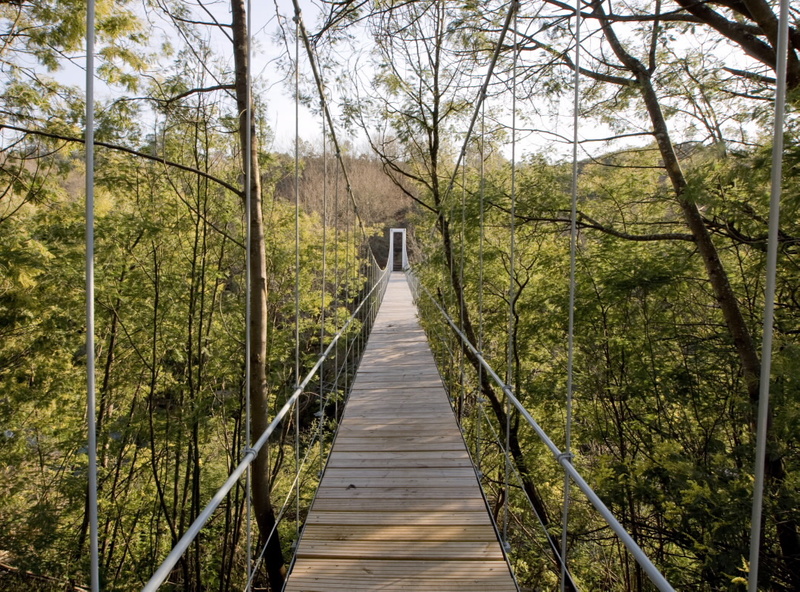 A suspension bridge allows access to it and to discover the path that surrounds it, or simply accommodate us in the recreation area. A true privilege: pure nature and clean air. By yourself, with friends or family, as you prefer. Do not forget to enjoy the treasures that nature and mankind give us. Which one do you want to start with? ← What to do in Galicia from July 16 to 22?